BOCA RATON – FAU may have to purchase a new fax machine after wearing out the current one on a wild and successful National Signing Day. 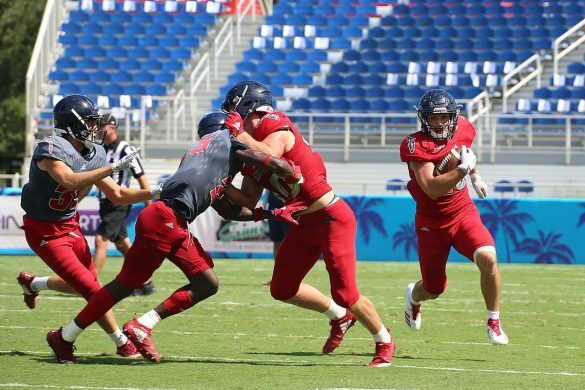 On Wednesday FAU signed 22 players to either National Letters of Intents or commitment promises that will be fulfilled once recruits qualify academically. The Owls’ first true regional class including players from Alabama, Georgia and even one from Tennessee. 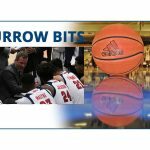 FAU replenished its roster – especially the skilled positions – with players who claimed offers from Power 5 schools, were committed previously to Conference USA schools, or both. Looking for a positive from last season’s disappointing 5-7 season, coach Lane Kiffin said missing the postseason afforded the coaching staff more time to recruit. “This was a much different feel this year and I think the results show it,” Kiffin said. What were some of the biggest trends from FAU’s most dynamic National Signing Day ever? We have them listed below. 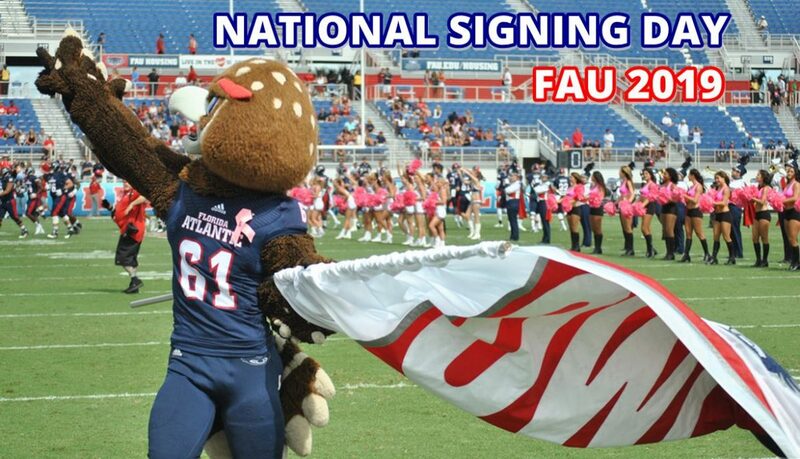 To view profiles of all the players who signed with FAU, check our Signing Day LIVE! page. Coaches of the recruits who signed with FAU on Wednesday consistently spoke of their player’s athleticism – so much so that it’s a common thread throughout the class. A half dozen players who signed with the Owls either began their high school career as basketball players or still play for their high schools – including Owls’ biggest signee, 6-foot-7, 320-pound offensive lineman Adarius Tolliver. Defensive end Marlon Bradley signed with FAU because the Owls are going to let him try to play both basketball and football. FAU signed five wide receivers and four running backs – and more may be on the way. Both satisfied positions of need for the Owls. Sending one running back (Buddy Howell) to the NFL and having two more (Devin Singletary and Kerrith Whyte) declare early for the draft caught the interest of running back prospects. Former Alabama ball carrier B. J. Emmons is already enrolled at FAU. The Owls signed Tallahassee-Rickards’ home run threat Kelvin Dean in December. On Wednesday FAU added St. Augustine-Menendez’s Tye Edwards, a bulldozer with speed who was coveted by SEC schools to play linebacker or even defensive end. Hoover (Ala.) running back Larry McCammon is an all-around back who performed at the highest levels of high school football. That’s four quality running backs flooding the Owls’ 2019 roster. 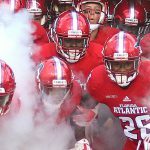 No single one will make FAU fans forget Sinlgetary, but as a group they should be fun to watch. “When you have a great running back kids follow that because they see it,” Kiffin said. Lane Kiffin has apparently learned his lesson when it comes to looking for the quick fix. His first two signing classes were heavy on junior college transfers who largely underperformed upon arriving in Boca Raton. In explaining their ineffectiveness, Kiffin consistently noted that JUCO players who enter the program in the summer often struggle with the adjustment. He’s apparently finished trying to buck that trend. FAU didn’t sign a single JUCO player on Wednesday. He did bring in an offensive tackle, Lavante Epson, wide receiver Adrian Bryant – both already on campus – and linebacker, Caliph Brice, during the early signing period. “This is more like what we’d sign year-in and year-out – high school kids, a lot of Florida kids,” Kiffin said. As good as the players who signed with FAU on Wednesday are, they were overshadowed on social media by two players who recently announced their intention to walk on to FAU. On Tuesday Terique Owens, son of hall-of-famer Terrell Owens, committed to play for FAU as a preferred walk-on, the announcement coming one day after Warren Sapp II, another recruit whose father is in the NFL Hall of Fame, did the same. In the midst of all the big name flips and signing day hat games, national outlets found time to discuss the Owls’ newest NFL connections. Lane Kiffin’s ability to bring national recognition to FAU once again amazes. 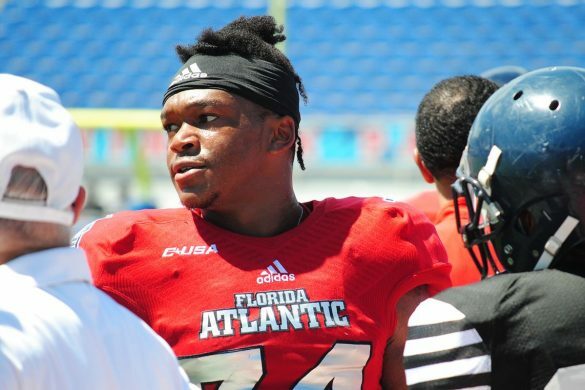 FAU’s 2019 signing class includes three players from Palm Beach County (Pahokee OL Deshawn Richardson and WR Deante Nelson, along with Palm Beach Gardens-Dwyer RB James Meeks, a grayshirt), one from the Treasure Coast, (St. Lucie West-Centennial DB Dwight Toombs) and zero from Broward County. While the lack of Broward signee’s is a bit surprising, Palm Beach’s relatively small total isn’t completely FAU’s fault. Dwyer DB Antavious Lane de-committed from the Owls. Dwyer commit Gio Richardson moved on after learning that FAU had decided on Greenville (Ala.) QB Javion Posey. Palm Beach Lakes CB Eldridge Franklin was an academic casualty. By contrast, FAU signed four players from the state of Alabama. The Owls attempted to sign other Palm Beach County players but with Lane Kiffin at the helm FAU has a more national footprint. And after winning a national title as Alabama’s offensive coordinator, his name opens plenty of doors in that talent-rich state. FAU did sign four Miami-Dade players during this period.